If anyone else has reason to be confident in the flesh, I have more: circumcised on the eighth day, a member of the people of Israel, of the tribe of Benjamin, a Hebrew born of Hebrews; as to the law, a Pharisee; as to zeal, a persecutor of the church; as to righteousness under the law, blameless. Yet whatever gains I had, these I have come to regard as loss because of Christ. More than that, I regard everything as loss because of the surpassing value of knowing Christ Jesus my Lord. For his sake I have suffered the loss of all things, and I regard them as rubbish, in order that I may gain Christ and be found in him, not having a righteousness of my own that comes from the law, but one that comes through faith in Christ, the righteousness from God based on faith. I want to know Christ and the power of his resurrection and the sharing of his sufferings by becoming like him in his death, if somehow I may attain the resurrection from the dead. Not that I have already obtained this or have already reached the goal; but I press on to make it my own, because Christ Jesus has made me his own. Beloved, I do not consider that I have made it my own; but this one thing I do: forgetting what lies behind and straining forward to what lies ahead, I press on toward the goal for the prize of the heavenly call of God in Christ Jesus. When folks tell me they’ve seen me running around Milwaukee, I apologize to them. I don’t mean to be too self-deprecating, but I know I’ve got to be a sight. First of all, I was not blessed/born with a runner’s physique. I know my face turns bright red from the exertion. 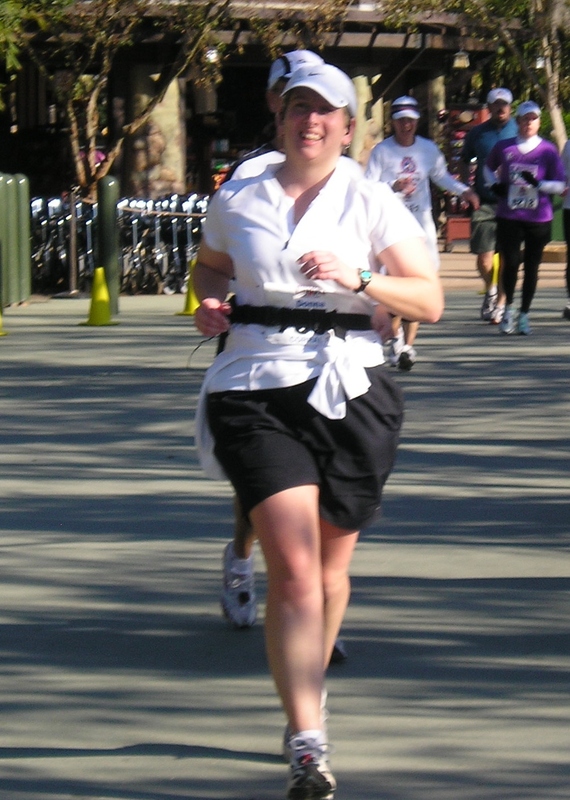 When I am running a long run training for a half or full marathon I usually have an extra layer of clothes, my gps, and a belt with water, and of course my ipod. In short, it ain’t pretty. Running for me isn’t just a physical exercise. I use my running time to work out and through my “issues”. It is my time for prayer, for therapy, for confession, for dreaming, for anger management, and I imagine my face bears witness to all the expressions that come with that kind of work. In short, it ain’t pretty. But when I let go of that, when I just allow myself to move into the sunrise, the wind, the rain. Then I am know what Paul is talking about. I know what it is to be “forgetting what lies behind and straining forward to what lies ahead, press on toward the goal for the prize of the heavenly call of God in Christ Jesus.” There is something about letting go–letting go of good and bad and just being present in this world with God. As the church this allows us to put ourselves aside to be with one another, to truly listen, to truly care, to truly welcome. When we allow ourselves to be swept away in God’s love we’ve gone beyond pretty, and the prize is already won.